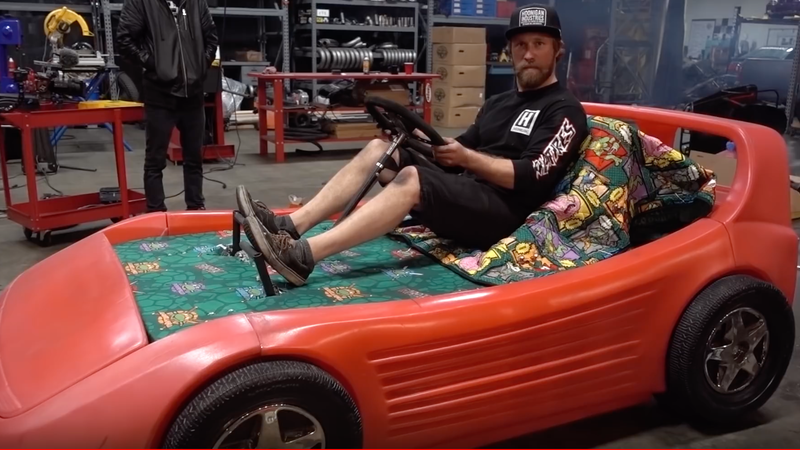 I don’t know about you, but I would have killed for a race car bed when I was a kid. It was a regular feature on my Christmas list. I could always picture myself in my tiny Mark Martin overalls and helmet, pretending to drive my way into a championship. Now, you can find out exactly how viable that dream could have been. The folks at Hoonigan are absolutely killing it. After finding a race car bed on Craigslist, they knew what they had to do. Thus began a pretty incredible process of revamping this little plastic body to hold a sturdy frame and a kart engine to create an incredible machine nicknamed Shred Bed. The series is five episodes long, so strap in and get ready for the step-by-step that turned this childhood luxury into real-life excitement. I’m assuming you will all be using this as a guide to build your own so we can start our own bed-kart racing series. Two year old Elizabeth would be stoked. At $22,000, Would You Start Cruising in This 1978 Toyota Land Cruiser Diesel?